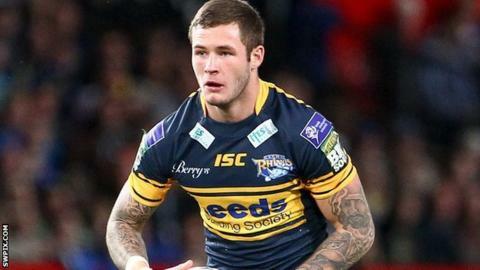 Leeds Rhinos full-back Zak Hardaker will miss Friday's World Club Challenge against Melbourne Storm after being ruled out for four weeks with a hand injury. Hardaker, 21, suffered the injury in Friday's 42-14 win over Salford. Rhinos coach Brian McDermott told BBC Radio Leeds: "He's got a couple of breaks in his hand and thumb. "I feel for Zak but he's a young guy and he's got a lot more big games left in him."